The Work From Home Resource Center: New Home-Based Job Leads! We provide legitimate home-based job leads and career resources for all ages. Work from home for a professional and reputable company such as U-Haul, Intuit, Lionbridge Technologies, Citizens Bank, Pearson, Amazon, and Disney! Below you will find a nice selection of home-based jobs to explore. Good luck! 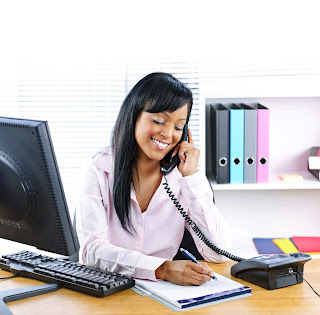 Customer Service Representative (work from home) - SYKES, Enterprises, Inc.
Work from Home: Discover a New Career Path Today! The Work From Home Resource Center is owned and operated by Gwynita D. Leggington. Gwynita has more than 12 years of valuable work experience in the home-based job industry. Gwynita is a successful entrepreneur, author, publisher, screenwriter, career counselor, educator, Internet researcher and job consultant. She is also the owner and founder of Leggington Productions. The Work From Home Resource Center strives very hard to provide job seekers with the tools and resources needed to make a comfortable living working from home. The Work From Home Resource Center makes every effort to only endorse legitimate and professional job opportunities. New Work From Home Career Opportunities! Work From Home for Amazon! New Work From Home Job Leads! Work From Home for Xerox! Please note: Although we make every effort to only post legitimate work-from-home job leads, we cannot guarantee the legitimacy of any link or company listed on this site. We also cannot guarantee that you will be hired by any of the companies listed above. Copyright © 2016-2019 The Work From Home Resource Center. All rights reserved. Simple theme. Theme images by luoman. Powered by Blogger.